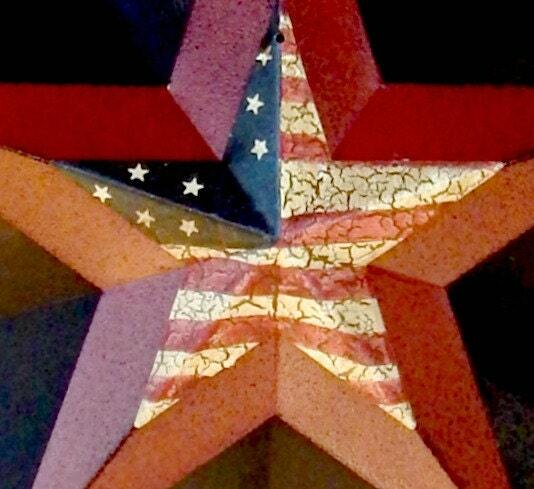 Our Americana Stars are a great country accent for both the 4th or year-round! 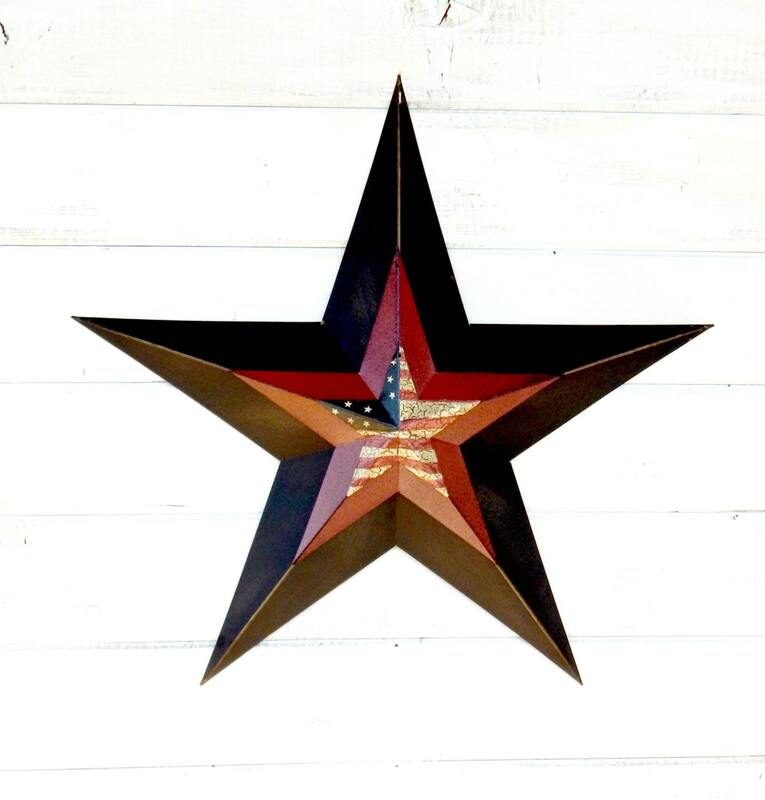 Dimensional 24" diameter barn star with a distressed country red, black and an Primitive Patriotic Flag. 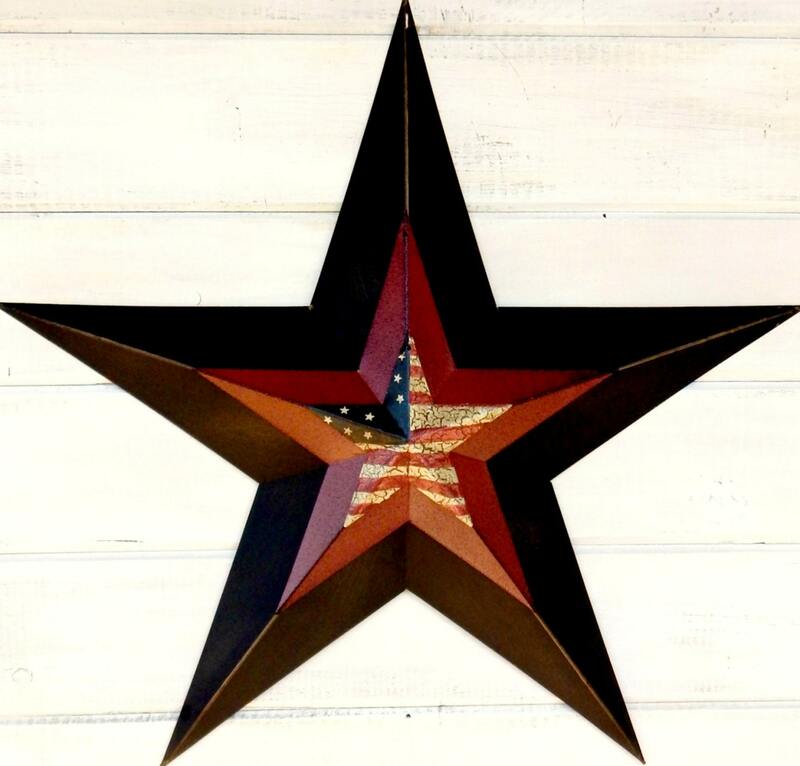 This metal star has pre-drilled hole for adding your own hook, ribbon or hanger. Beautiful piece and quality craftsmanship. 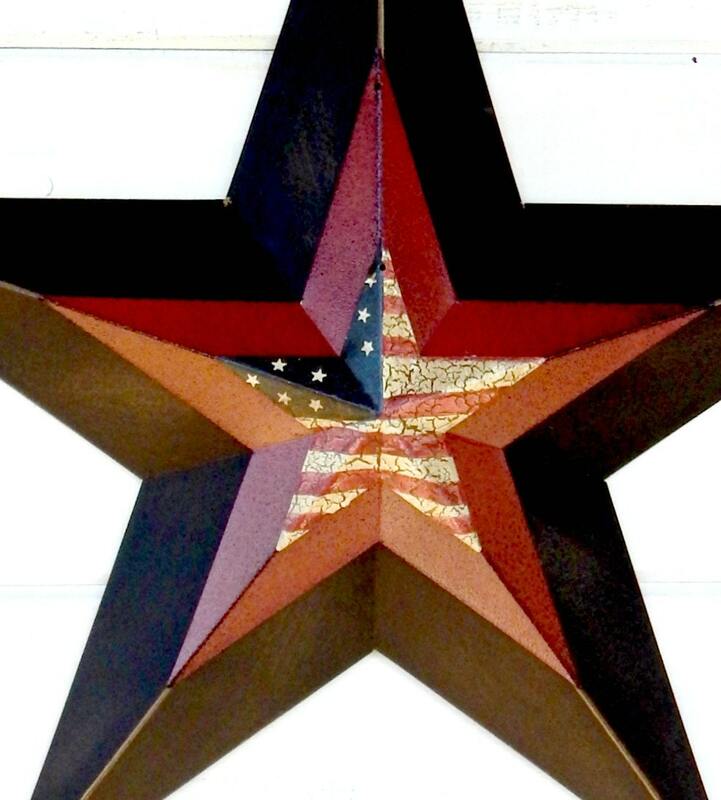 Fast shipping and looks great in the home! !